As a late French poet once said, “a goal without a plan is just a wish.” As advisors we encourage our clients to dream big, knowing that the way to accomplish those big dreams is through goal setting and strategic planning. That is why at CorLux Financial, we take a holistic approach by integrating life planning as a core offering in our services. 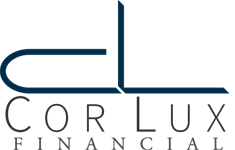 Founded in 1998, CorLux Financial is a CPA full-service financial firm located in Eugene, Oregon. Whether you have significant assets to manage — or if you are just starting to accumulate wealth — we have the seasoned know-how to offer you tailored financial expertise. Navigating the waters of financial, investment and tax planning can seem scary and daunting. There is much to consider, and who to entrust to help you is the first big decision. At CorLux Financial, our personal goal for each and every one of our clients is to inspire confidence and bring a sense of peace and wellbeing to any financial undertaking you come to us with. In order to achieve that, we offer holistic guidance and lifelong partnership to continually make your financial goals a reality, no matter how your needs and life evolve over time.